Congratulations on successfully creating your publisher account, and welcome to Awin! Our new publisher interface training series will equip you with all of the tools, tips and best practices needed to make your first sale within one month of joining our network. 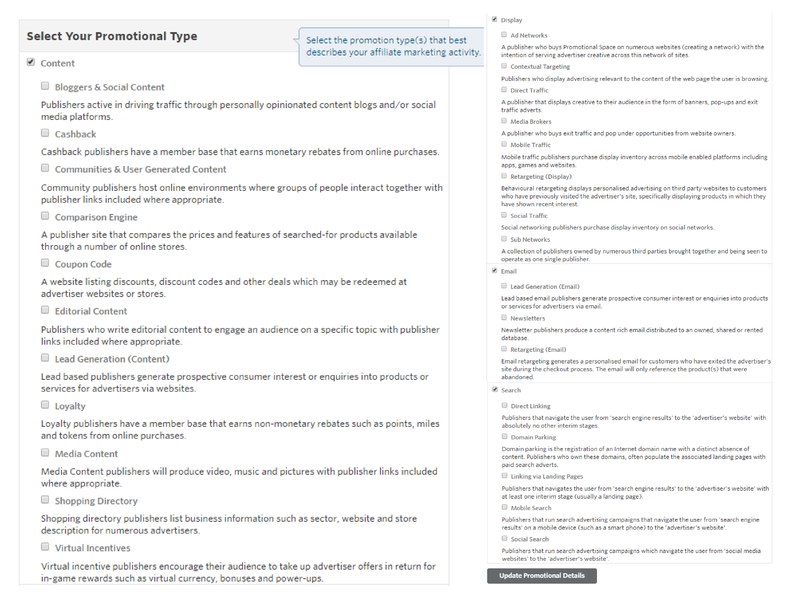 First, let's review how to complete your publisher profile. 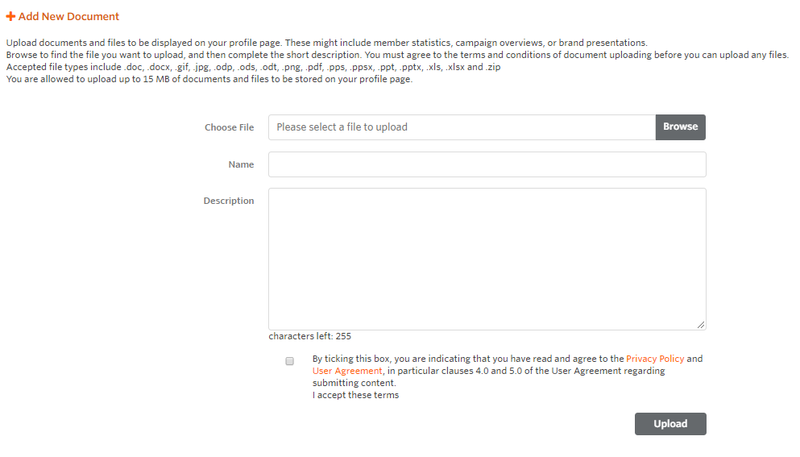 Following the approval of your publisher application to Awin, your profile will need to be filled out. Only 100% complete profiles are visible to advertisers in the publisher directory, so this is very important as an incomplete profile could prevent you from joining advertiser programs. To view and edit your profile, hover over the Account tab and under Profile, click Overview. The first step is to add a description of your company, blog, website, or whichever outlet(s) you will be using to promote Awin advertisers. On the left side of your profile, you will see a box titled Links. This is where you will enter your website, blog URL, Twitter username, or Facebook page. Directly under the Links box is the Contact box. Please confirm your contact details and make any necessary changes. The next tab within your profile is the Documents tab. This is where you will upload any relevant documents like media kits, member statistics, campaign overviews, or brand presentations. Once a document has been uploaded, it will appear in a list on the Documents tab and can be viewed at any time. Other publishers cannot view these documents. Another tab within your publisher profile you’ll need to complete is the Promotional Spaces tab. This is where you will display how you will be promoting advertisers. Repeat this process to add additional website. You do not need to create additional publisher accounts to promote advertisers on multiple websites. You have now completed your publisher profile! Up next, updating payment details and joining advertiser programs. Questions? Please contact our publisher management team.